The Egg of the Covenant, created by Theo Fabergé was inspired by his belief in the responsibilities of mankind to ensure survival in the modern age. 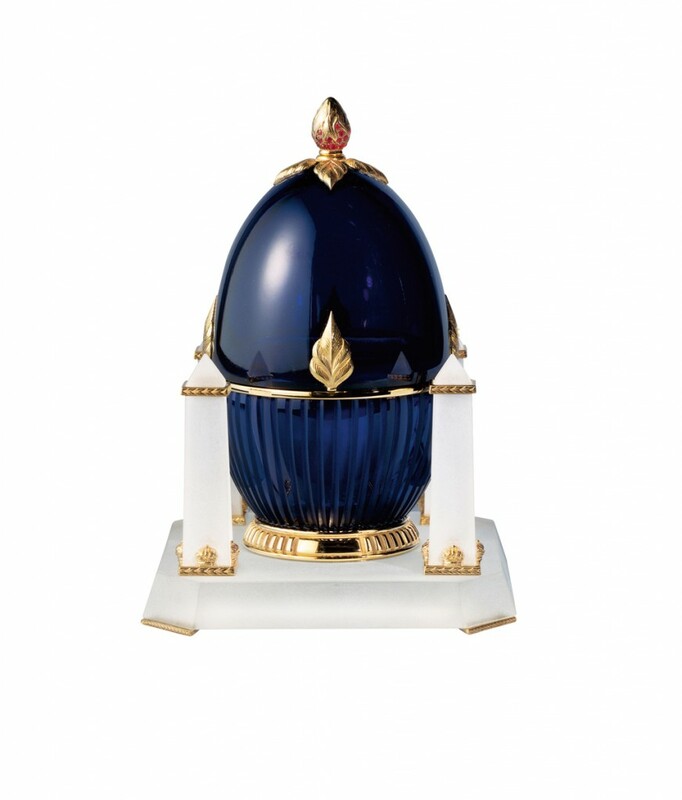 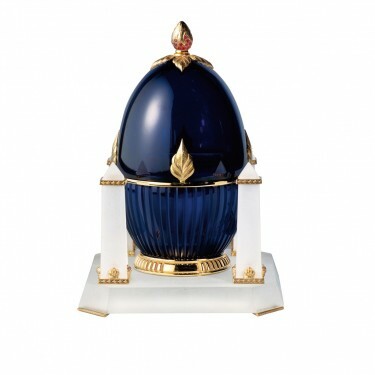 The 24% lead crystal Egg is enhanced with sterling silver and 24 carat gold, surmounted with a small egg enriched with 31 rubies, representing the burning bush. 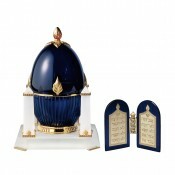 The Egg stands on a plinth surrounded by four decorative Egyptian obelisks. 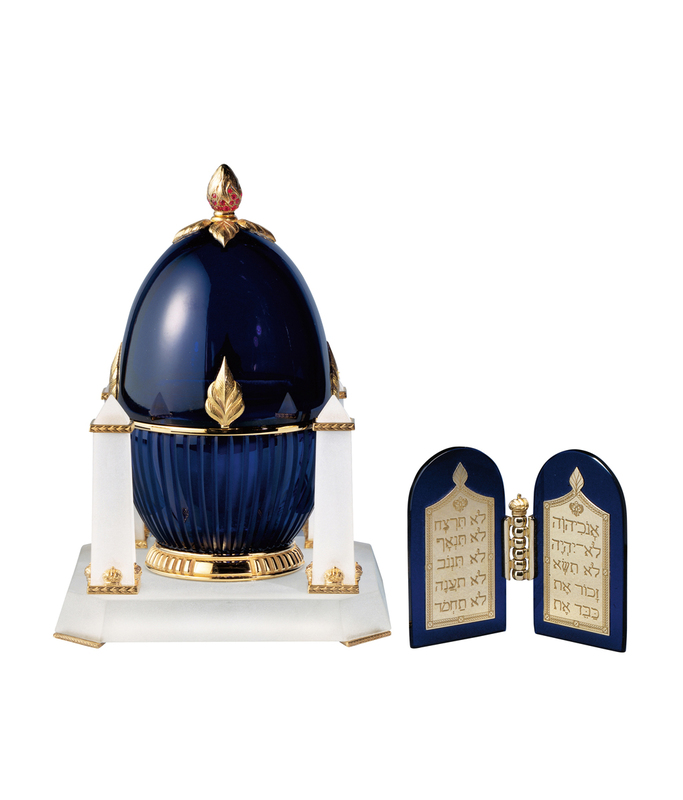 On opening the Egg, the surprise, the tablet of the Ten Commandments as spoken to Moses on Mount Sinai, inscribed in Hebrew, with English on the certificate to remind us of our obligations.